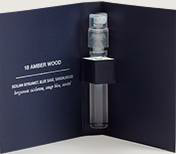 Profile4Men is Offering Free Profile 18 Amber Wood Fragrance as Sample. Just Fill the Form & Get your Free Sample. • That's it! You will Get your Product soon! Note:- We are Not Sure this offer is Genuine or not.